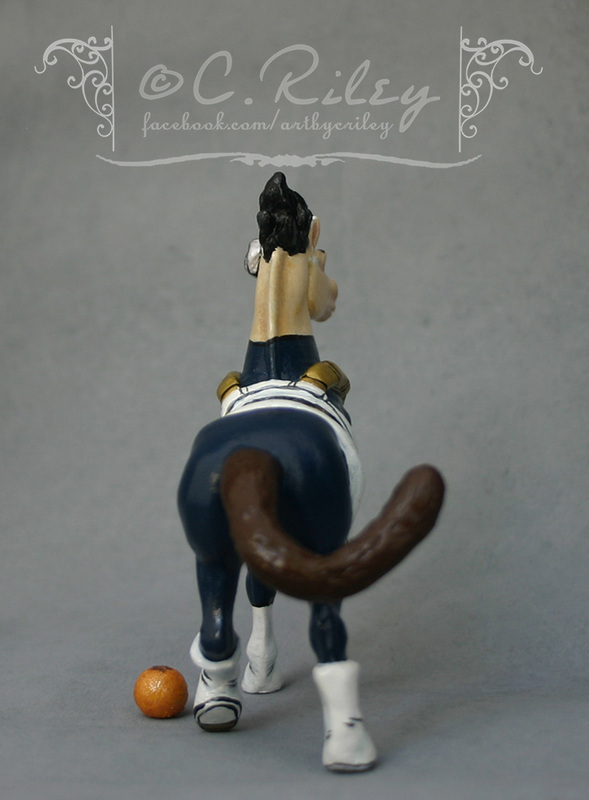 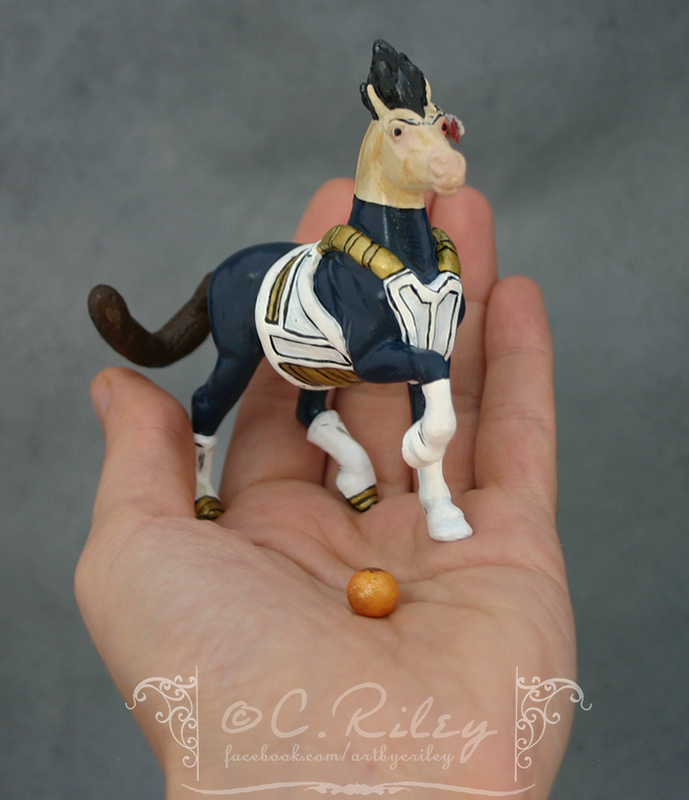 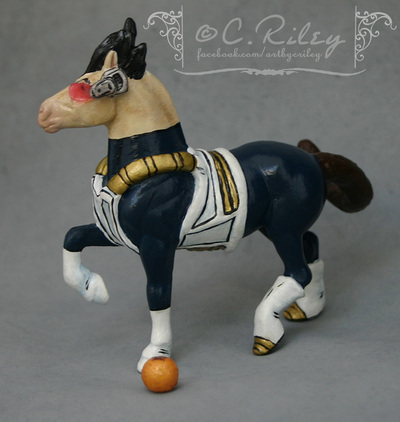 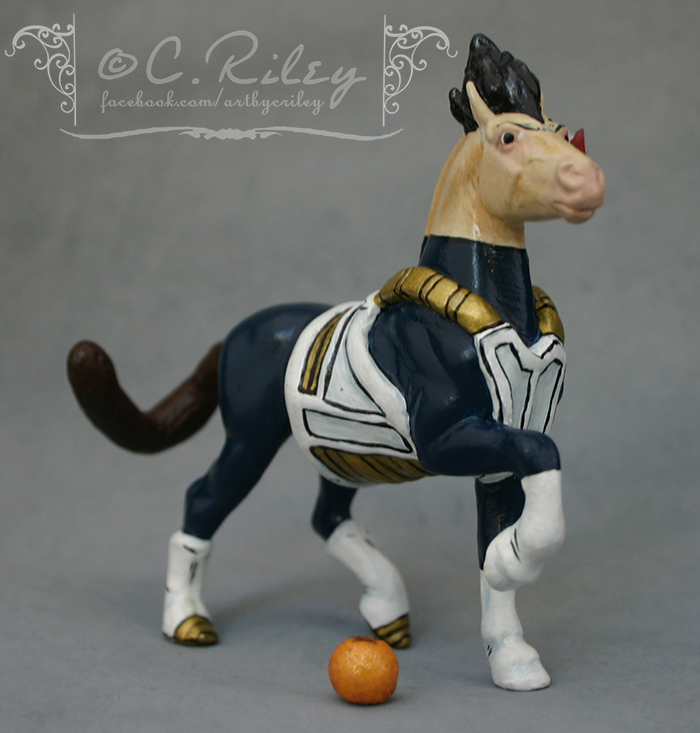 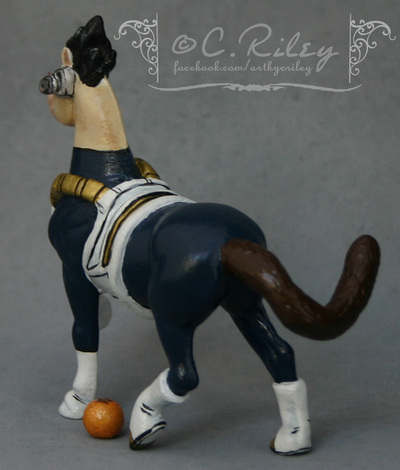 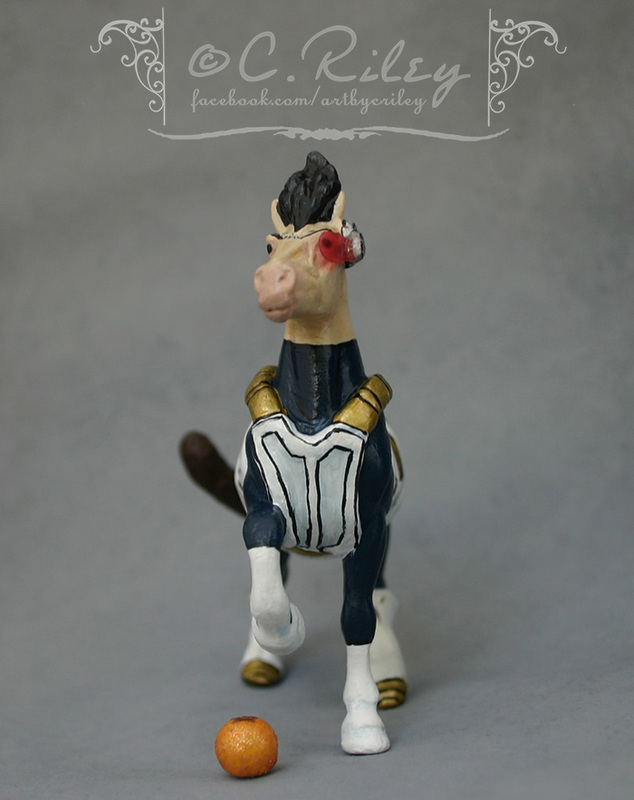 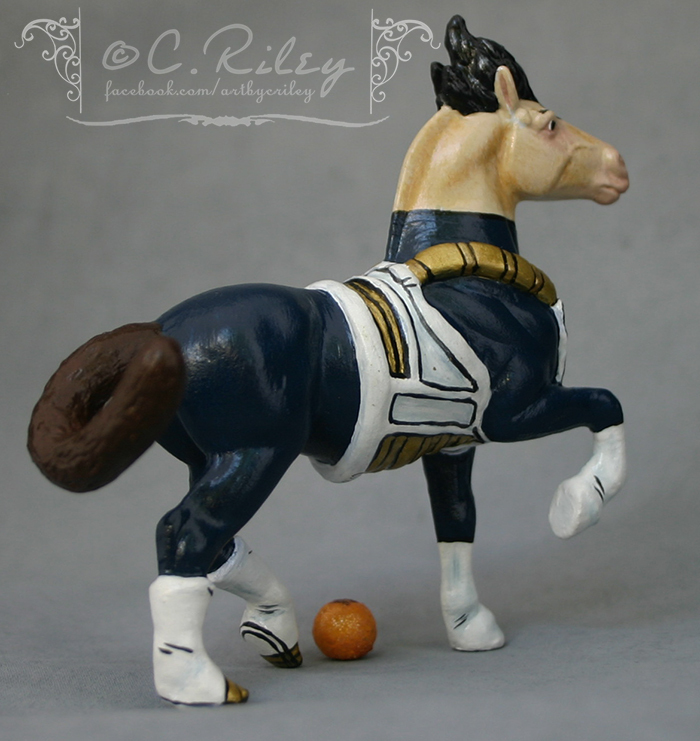 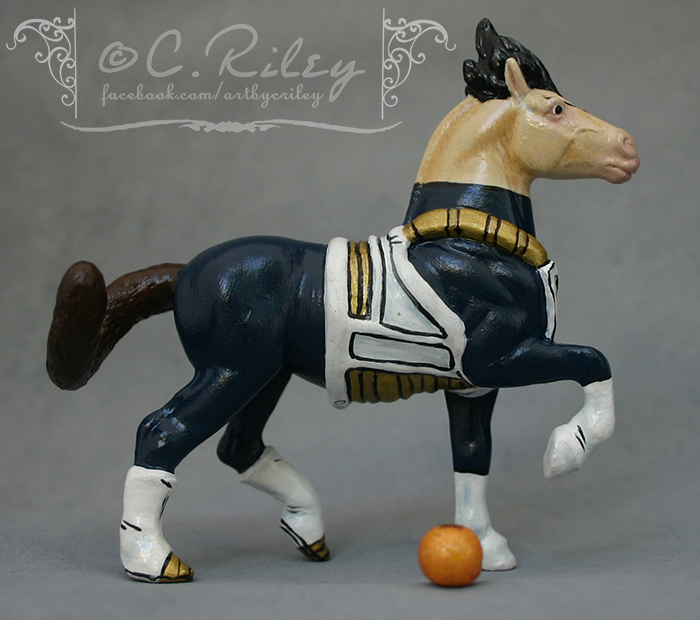 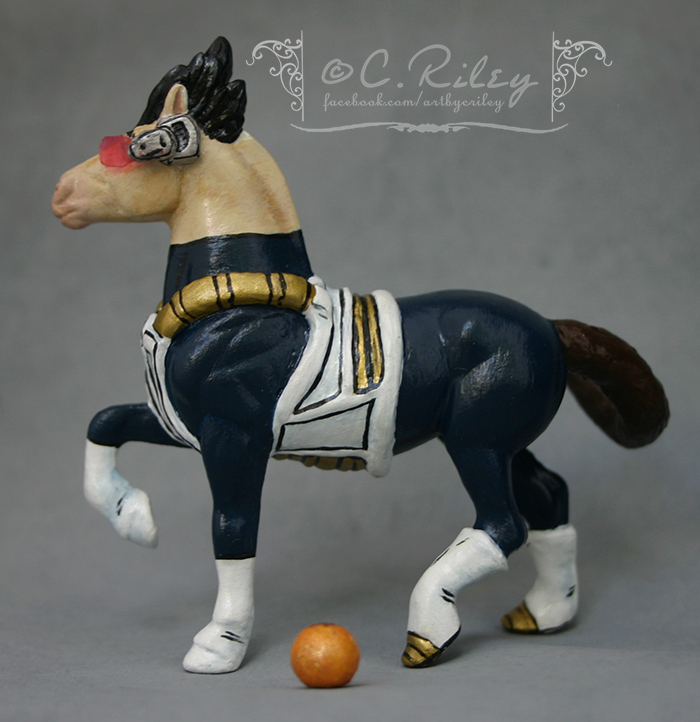 This was the little Vegeta Pony I created for my 2014 Halloween Swap Partner. 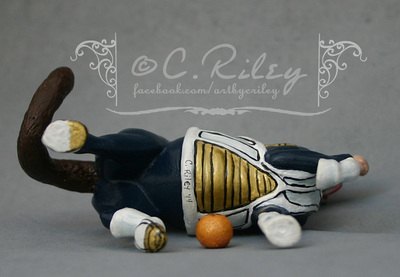 I had so much fun making him as I used to be such a HUGE DBZ fan myself. 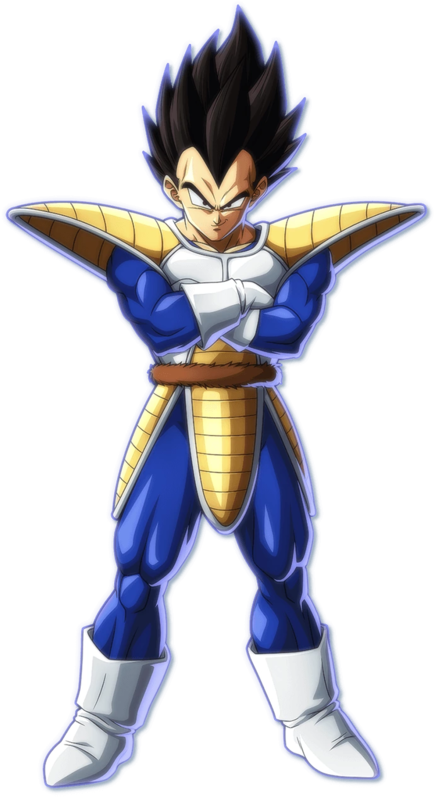 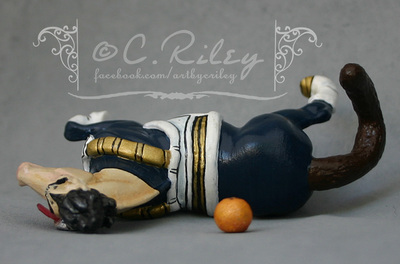 For those of you who don't know, this is the "real" Vegeta: http://img1.wikia.nocookie.net/__cb20130802141754/villains/images/e/e3/Scouter_vegeta.png Sculpting done with epoxy and painted in acrylics.